Nuba Reports originally published this article in partnership with Global Voices. Mohamed Al-Sadiq, a 19-year-old student at Omdurman Al-Ahlia University in Sudan, was in a rush. He refused his mother’s pleas to eat something before he ran out to attend a public function on campus in the country’s economic capital, Omdurman. It was April 27, the same fateful day news reached Al-Sadiq’s mother, Saadia Al-Ahemer, that her son had been shot near his heart. Student protests erupted nationwide in Sudan involving at least ten universities in reaction to the shooting, by suspected security agents, of Al-Sadiq, and also the April 19 shooting, by security agents and students affiliated with the ruling party, of University of Kordofan student Abubakar Al-Sideeg. 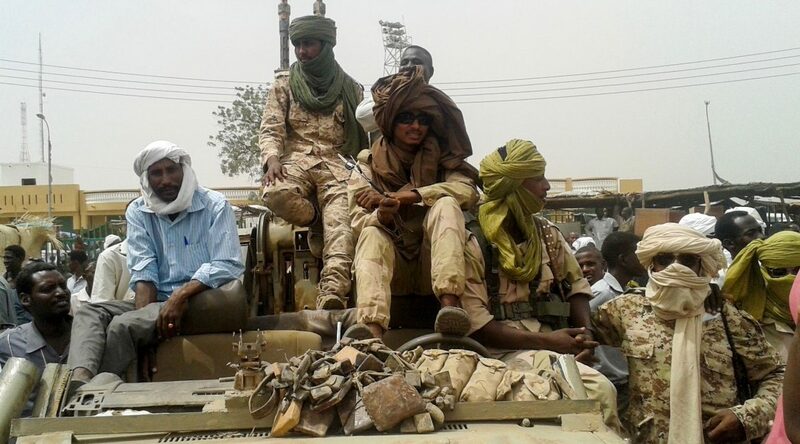 Al-Sideeg was shot in El-Obeid, North Kordofan State, after he and and other opposition party-affiliated students attempted to file their list of candidates for student union elections. The meeting Al-Sadiq attended on April 27 was a forum organized by the Nuba Mountains Student Union to discuss the assault of the Union’s cultural secretary by students aligned with the ruling National Congress Party (NCP). Less than half an hour into the forum, clashes erupted between NCP-aligned students—supported by security agents—and the Nuba students. 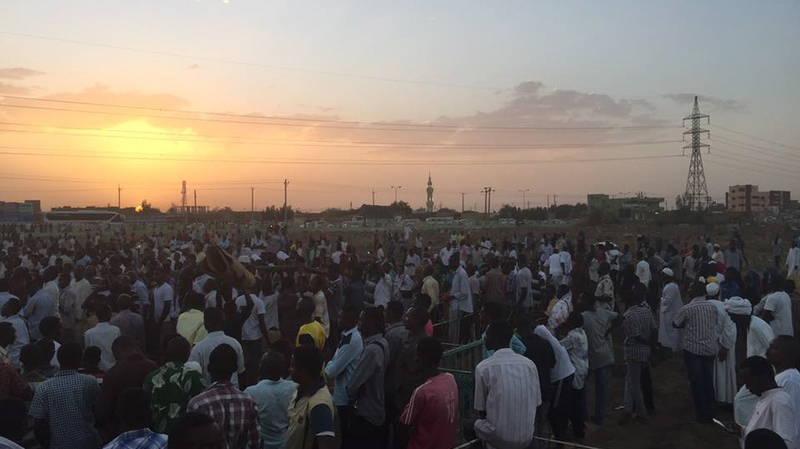 The NCP supporters were better armed, and the Nuba students were forced to relocate outside the university campus. Once outside, a gunman shot Mohamed Al-Sadiq dead, according to Khalid Abdullah*, a member of the Student Union. 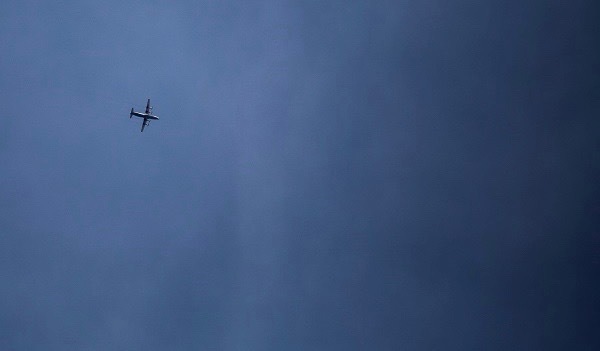 “We think they had a target, because the first shots were aimed at a student who was the speaker at the forum and they missed him by a few inches,” said Ahmed Yasin*, a leader in the Union. Al-Sadiq was the eldest of five children. His father is a former professional football player and his mother is a “tea lady” who works long shifts selling tea and coffee at Banat Market in Omdurman. Neither parent had the opportunity to attend university, but were determined their son would. Al-Sadiq had made a pledge to his mother to assist his siblings to reach similar educational levels. Instead of seeking the assailant, authorities arrested two members of the Nuba Union, Kamal Aris and Faris Hussein, who attempted to assist Al-Sadiq after the shooting, Yasin said. Aris and Hussein are now facing rioting, disturbing the peace and “public nuisance” charges. “We managed to get an order to have them released on bail the next day, but the order was overturned and their detention was renewed three more days. Now they face charges that could lead to a five-year sentence,” said a lawyer working on the case who asked not to be named as the case is ongoing. Sudan recently modified its criminal code through an amendment that provides five-year jail sentences for “rioting” offenses. Aris and Hussein have been released, but the charges still stand. The Nuba Mountains Student Union was formed in 2007 by Nuba university graduates. It has branches in most Sudanese universities inside and outside Khartoum. “Our activities are mostly cultural, we want to spread awareness of our rich cultural heritage. We are not a political body nor do we support a political body, but even with this, we continue to be targeted,” Yasin said. 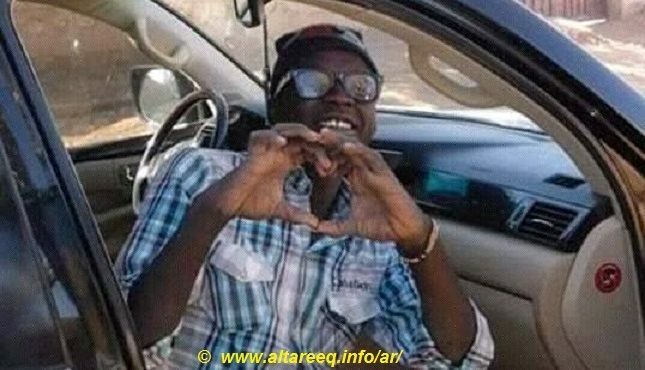 On June 4, security forces arrested 14 youths associated with the Nuba Mountains Student Association after they attempted to hold a commemorative event for Al-Sadiq, 40 days after his death. The event was supposed to take place at “Kiga” a club that caters to Nuba in Omdurman. Instead the organizers found themselves detained overnight at a local police station, charged with breaching public peace. A court dropped the charge the next day. “We will hold another event for Mohamed Al-Sadiq. That day they arrested almost all of the executive committee of the Nuba Student Association, leaving no-one to go through with the memorial,” said Salih,* who is a Nuba activist and part of the executive committee of the association. 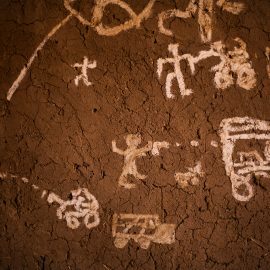 Students from Sudan’s conflict-affected Darfur and the Nuba Mountains remain under the microscope, as they are seen by the authorities as a support base for rebel groups. Mohamed Murjan, a respected member of the coalition and a graduate of Al-Neelein University, told Nuba Reports that he has witnessed many cases of violence and discrimination against Nuba students. Last year,a Nuba student was hospitalized after he was beaten almost to death at Al-Zaem Al-Azhari University. “He had just finished his studies and was at the university to finish administrative procedures to graduate when he was attacked during a bout of student violence. They thought he was from Darfur,” Yasin said. Although the Nuba Mountains Student Union is apolitical, Nubas are seen by default as supporters of the rebel movement fighting in Blue Nile and the Nuba Mountains. In 2013, the minister of higher education issued a decree banning the activities of student groups that are viewed as loyal to rebel groups such as the Sudan People’s Liberation Movement/Army – North (SPLM/A – N). Since 2011, the government has sought to rout rebels that once fought alongside South Sudanese secessionists and now demand greater autonomy in their remote border region. 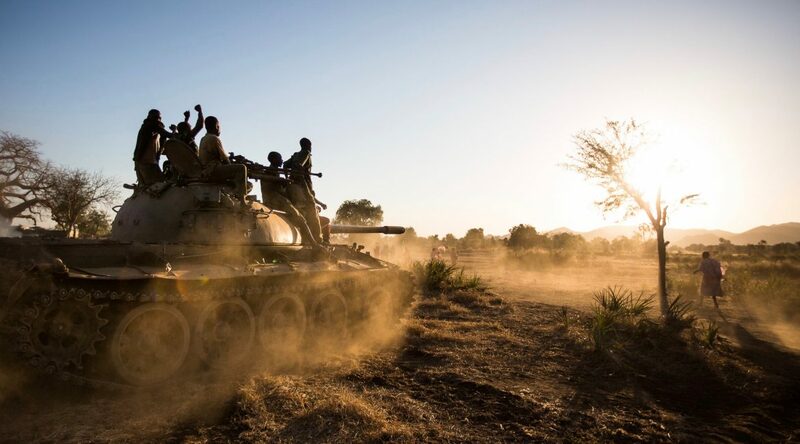 The conflict started after the government reneged on a popular consultation designed to provide the region greater political autonomy, and insisted on what the SPLM-N considered a premature disarmament of their forces. “They usually come to arrest us after any big fighting. I was arrested after the Abu-Kershola and the Um-Rowaba clashes between the SPLA-N and the government’s army. They arrest Nubas regardless of their political affiliation,” said a teacher from the Nuba Mountains who lives and teaches in Southern Khartoum, and who spoke on condition of anonymity. 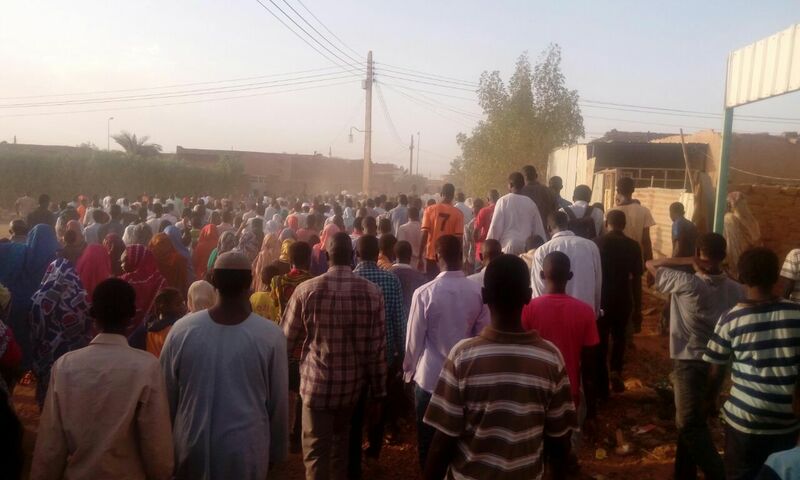 “The death of a student is the death of a nation,” protesters chanted as they carried Al-Sadiq’s body down Al-Arda Street, one of the largest streets in Omdurman, towards Hamid Al-Neel Cemetery. The procession started with about 100 students, with more and more citizens joining, and culminating in a crowd of thousands attending the young man’s funeral. Few could have expected such an outpouring of outrage at the death of a young student, especially one from the marginalized Nuba Mountains region. The death of Al-Sadiq led to the indefinite closure of his university and triggered a brimming sense of frustration. At least ten universities have erupted in protest since April, demonstrating against local grievances and government-triggered violence used to control university politics. Al-Sadiq’s death came at an important time, as students at the University of Khartoum, Sudan’s oldest university, were already on the streets protesting against the alleged selling of their campus to an investor. Their campaign “Just not the Beautiful”, which is a reference to the university’s nickname, saw dozens of students arrested and led to the closure of the university. Salah said that the government’s strategy to control campus politics started in the 1990s, after student protests over poor accommodation and a spike in tuition fees. They used divide-and-conquer tactics, whereby pro-government students were armed by the government and provided other incentives. Since then, dozens of students have been assassinated and hundreds detained. While all Sudanese students have been affected, those from Darfur and the Nuba Mountains have been affected the most, especially in terms of access to education. Protests at universities routinely lead to closures and indefinite suspensions, preventing students from completing their studies. Abdelrahman Adam, a student at the University of Zalingei in Central Darfur, was recently suspended for three semesters along with 13 other students for holding a forum to protest a December 2015 decision to ban political events at the university. Adam said that no investigations had taken place to assess the validity of the suspension. “This has a great impact on the students and the families. Some families stigmatize their children as a delayed degree means a delayed future,” he said, as many Sudanese families rely on their children to support them. Currently 17 Khartoum University face suspensions, six of which are indefinite. Most of those university students are currently in detention, and dozens of others have been arrested since March 2016. It remains unknown how many students remain in detention. Al-Sadiq was not the first Nuba student to be assassinated by the government, but his death continues to echo across Sudanese universities. But just like the deaths of other students over the years, there has been limited public engagement in the protests. “Students continue to mobilize regardless of the security crackdown, but the public on the streets are not as convinced or prepared [to fight] for change as the student body. They need more outreach work,” added Yasin. In Ombada, inside the house where Al-Sadiq was raised, his family remains hopeful that their tragedy will continue to resonate across the country. “I want the Sudanese people to stand by me. I want them to help me get retribution for my son and find justice,” his mother said.